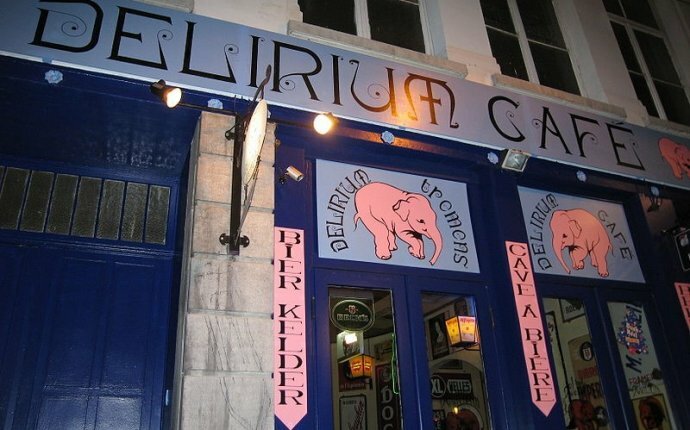 The Belgians are very quickly stereotyped by people all over Europe, who make an incredible amount of jokes and satirical films about its peculiar political system, different languages, and gastronomy. The funny thing is that Belgian people play right along, and feed those stereotypes. As they are the subject of many jokes, they have developed a unique, self-deprecating, sense of humor. As with any stereotype, those regarding Belgian people exist for a reason. However, to fully immerse themselves in the Belgian culture, foreigners must understand that Belgium goes far beyond its clichés. To help you tell fact from fiction about this small country, we will address the main clichés you might find. As you will see, Belgian stereotypes fall into into three main categories: the country itself; its cuisine and the Belgian people. Belgium is a small, flat and rainy country. All true. With an area of only 30, 600 km, Belgium is a small country. Its highest point is actually not high at all, at only 694m above sea-level, at the “signal de Botrange”. The fact that only a small part of the country exceeds 200m above sea-level explains why most of people in Flanders use bikes instead of cars to travel around their city. The flatness of the country is unlikely to faze foreigners. However, it's rainy weather will. Belgium has a maritime temperate climate with a high amount of rain in all seasons. With an average of 200 days of rain per year, it's difficult to paint Belgium as anything other than a rainy country. However, the rain doesn't stop the country's population and they happily go about their daily business whether there's rain or sunshine. The Belgian political system is a mess. Partly true. The Belgian political system is difficult to understand even for those who've lived in the country their whole lives. Belgium has three deciding authorities : the federal Government, the 'Three Language Communities' (Dutch, French and German) and the 'Three Regions' (Flanders, Wallonia and Brussels-Capital). Each region and community has its own government and responsibilities. The constant fight between Flanders and Wallonia or between the Flemish and French Communities are at the base of the current country political problems. In short, each one wants more decision-making power and because of their deep history in fighting, they've never found any compromise. Belgians are fond of mussels, beer, french fries and chocolate and eat them at every meal. Partly true. Belgians have been brewing beer since the Middle Ages, so they've had plenty of time to perfect this craft. And nothing matches the beer better than delicious Belgian fries - served in a paper cone with mayonnaise, of course. They may not have them at every meal but the tradition is deeply anchored in people’s mind and tastes. Chocolate, mussels and waffles are also part of the Belgian cuisine and have gained worldwide fame. These are not eaten at every meal, but are just really appreciated like tortillas in Spain or pastas in Italy. Despite all the land and food clichés, it's the Belgian population that has to put up with the most stereotypes. In the mind of foreigners, the typical Belgian is as follows: they often say “une fois”, have a strong and heavy accent (whether speaking French or Flemish), are stupid and passionately in love with fries. We already showed that Belgian people love fries so this one is closed - but let's admit that anyone who's ever tried Belgian fries loves them too. But when it comes to Belgian people, the Dutch and the French have a lot to say with regards to language. The Belgian accent and expressions (especially in French) are very different from what is perceived to be the “right Dutch” or “right French”. This results in jokes and mockeries from the Dutch and the French towards the Belgians. However, if a Belgian person is talking to a Swiss, for example, there will be less differences in the French, resulting in a more peaceful co-existence. And while Belgian people are surely not stupid, they have a great, self-deprecating sense of humor. These past years Belgians have produced or written a great amount of movies, books and songs exaggerating Belgian clichés.